Good morning from EPHQ everyone! I’m rocking through some of the correspondence that came in yesterday while a guest speaker at the South Orange County Bridal Open House at the Mission Viejo Country Club & wanted to share a FREE iPhone & iPad app that can help you plan your wedding. Planning and organizing the wedding can be very stressful, the iWedPlanner is the best iPad, iPhone and iPod app to help you keep your stress level down. Never forget meetings, appointments, or miss making payments again because the wedding planner apps for iPad, iPhone and iPod has a remarkable feature that will sinew automatic reminders of any upcoming event. Using the free iPad, iPhone and iPod app you will be able to locate the perfect wedding type, florist, wedding dresses, DJs and bands. 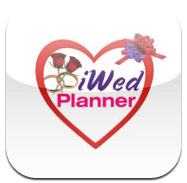 The iWedPlanner iPad, iPhone and iPod app is a complete wedding planning utility, allowing you to start planning your wedding and assisting you to get the great results you’re looking for. Access your list at any time, from anywhere. The way things work is that there’s always that one little thing that you may forget, the beauty of the iPad, iPhone and iPod app is that you can add to the list any time. It doesn’t matter if the wedding checklist is complete, incomplete, or partial. The wedding planner iPad, iPhone and iPod app gives you access to hundreds of wedding vendors. You can find wedding suppliers in your area of and use the app to compile a list of all your favorites. Having this list will be very handy in the days to come, the wedding planner iPad, iPhone and iPod app allows you to keep a detailed record of each vendor. Get help, counting down the days until your big event. The wedding planner app gives you an accurate display of how many days you have left to get things organized. It counts down in months, hours and minutes. The pressure is on some knowing, how much time you have is very important. The absolute greatest challenge to planning a beautiful wedding is organization. The wedding planner iPad, iPhone and iPod that is the ultimate organizer. Includes a place for contact details, quick note and appointments. It also includes gift tracker, a place to list songs so the wedding is capable of posting directly to Twitter and Facebook. Those are just three of the key features of the iWedPlanner app & it’s got a ton more! If you have any other apps that are awesome to use while planning your wedding, feel free to comment below or contact me anytime day or night. I’m available just about 24/7 via Twitter, Facebook, Google+, the form on my contact page, or the old fashioned phone as well at 888.ESQ.PHTO (888.377.7486) or 562.225.5915. You might help another bride and groom plan their wedding with terrific discounts & vendors!